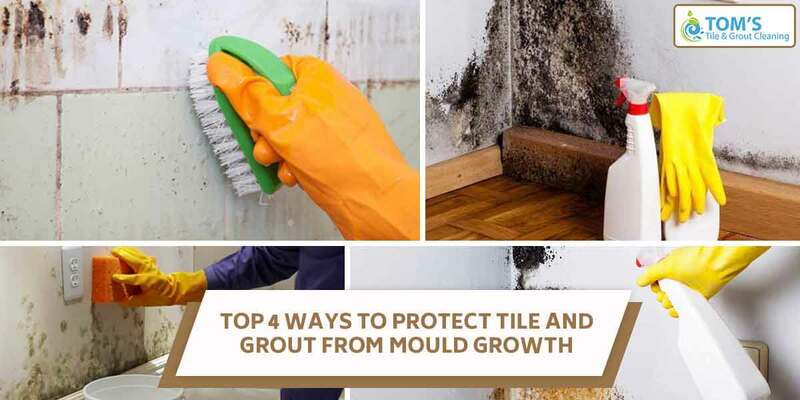 The growth of mould in the minor cracks, crevices and tile grouts can give a very shoddy appearance to your beautiful home. Not only it looks bad but is also unhygienic! Hence, you need to figure out ways and tricks to combat this problem! This article will guide you on best ways for Tile Grout Cleaning that you can do by yourself. Tile Grout Cleaning is not an easy task you will need expert industrial equipment and effective cleaning products. You can achieve tile restoration with high-pressure cleaning which will leave a very professional touch every time. Here are some of the key points of Tile Grout Cleaning. A clean sealed floor is always better and hygienic than a moulded stripped floor. In order to give your tiles and flooring a beautiful new look, tile sealing and removing of old sealants, strip it and scrub the tiles using a good tile cleaner. Post cleansing seal and grout your tiles to avoid any future staining of the tiles. Sealed tiles are more resistant to stains and damages. The grouts can develop colour and stain your tiles, regrouting is an effecting alternate solution as compared to re-flooring. Tile grouting will give a brand new look to your previously stained tiles. Grout restoration can be done for all kinds of tiles including kitchen, bathroom, living rooms, patios etc. While getting tile grouting services, it is recommended to get any broken or damaged tiles also restored or replaced in order to avoid growth of moulds again. Chose a good service providing company and they will take care of complete restoration of your tiles and flooring. Keep windows and doors open to permit proper ventilation. Hot and humid conditions promote the growth of these moulds in the cracks and crevices in tiles and other areas. Leaving the bathroom floors wet after a shower can promote the growth of moulds in the grouts. To avoid this use exhaust fans to allow for proper ventilation and dryness of the floors. There are sprays available in the markets which inhibit or control the growth of moulds. Use these sprays in susceptible humid areas of your homes to keep them dry and free from mould growth. These sprays are the best mould grout cleaners. Use silicone sealers to keep the grouts dry, it will reduce the moisture penetration to the crevices and hence control the growth of moulds in these grouts. Go for grout restoration by opting for the above-mentioned strategies and live healthier! To know more about tile and grout cleaning services call us on 1300 068 194. Tom’s Tile and Grout Cleaning Melbourne Services will provide you with same-day, on-site facilities.